Have you considered using Pinterest for your Family History and Genealogy research? This book will guide you through the steps. It explains the basics of using Pinterest, how it can benefit you in your research, how to pin images, and more! 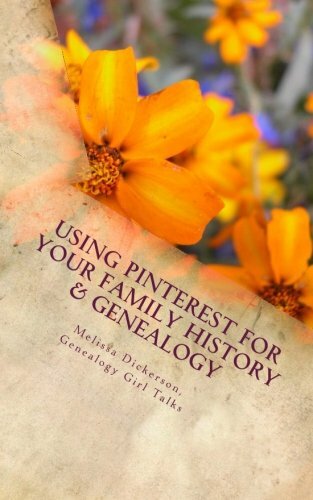 Genealogy Girl Talks’ quick tips eBook, “10 Tips for Using Pinterest for Your Family History,” is also included within the pages of this book!